Finncorp.com – Hydroseeders, Straw Blowers, Bark Blowers, Landfill Solutions, Erosion Control Equipment, Material Transfer System, Consumables – Finn Corp.
FINN support includes parts, technical assistance, tutorials, financing, and exceptional warranty coverage. There are very few corporate names synonymous with quality, regardless of the industry. FINN’s experience of over 80 years bringing innovative technologies to the landscape and erosion control markets has firmly established it as a quality company with quality products. FINN is The Leader in landscape and erosion control equipment. 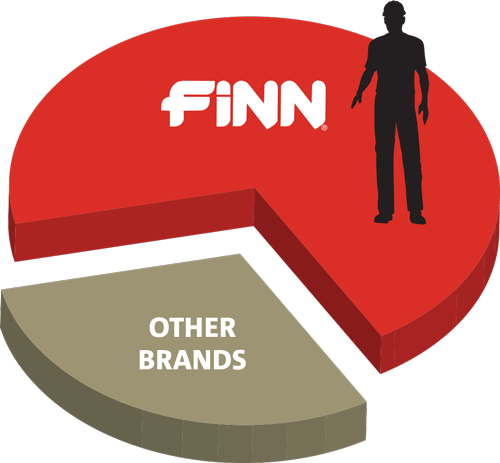 The FINN Corporation prides itself on manufacturing products that give contractors the ability to work more profitably by completing more jobs for less cost. This is just one of the reasons we continue to be the market leader. With a pioneering spirit part of our culture, we have grown to be a worldwide leader in the manufacture and sale of erosion control and landscape equipment. We set the standards for product quality, unequaled customer support, and market leading innovation.